﻿ A lot of the coaching clients I work with enjoy this technique I have to share with you today for your bulimia recovery. The personal check in is an emotional status check with yourself. Watch this stop binge eating video to learn more and how to use this technique. The personal check in, if you make it part of your daily routine and use it throughout the day, will serve to center and empower you. What often happens when we allow our bulimic mind to run wild is our habits of thought take us down that nasty road and right into the kitchen shoveling in the food to help us escape, sooth ourselves or avoid the painful feelings inside. The idea of the personal check in is to be aware of our emotions a lot earlier before they “get out of hand”. There aren’t bad emotions – there are empowering ones and dis-empowering ones. We don’t want to label any of them good or bad because what can tend to happen is you associate the feeling you’re having to your identity. If you have a “bad” feeling, you could run the risk of then calling yourself “bad”. That’s not what we want to do here. The key is to live from your own internal compass. Your emotional state is something you absolutely can manage and improve – if you choose to. Fact is, not many people realize they have this emotional baseline they tend to sort of hang out in. For some it’s sad, lonely or bored. For some it’s hopeful, optimistic and happy. It’s a choice and absolutely in your power to reset your set point. More on that in another post. Throughout your day check in with yourself. Ask your self “how am I doing?” or “what am I feeling?”. Then allow your heart to answer. If you can, put your focus on your heart, or even place your hand on your heart, and feel for what emotional state you’re in. Often you’ll have one or two emotions that are right there on the surface. If you find yourself with a mixture of emotions, what we call an emotional cocktail, then just notice and observe the mixture and whether you’re feeling overall empowered or dis-empowered. If you’re feeling less than you want to be feeling, ask yourself “now what?” or “what should I do here?” and see what thoughts come to mind. Then, when a thought comes to mind, ask “better or worse?” Does that idea, thought, or thing to do make you feel better or worse? 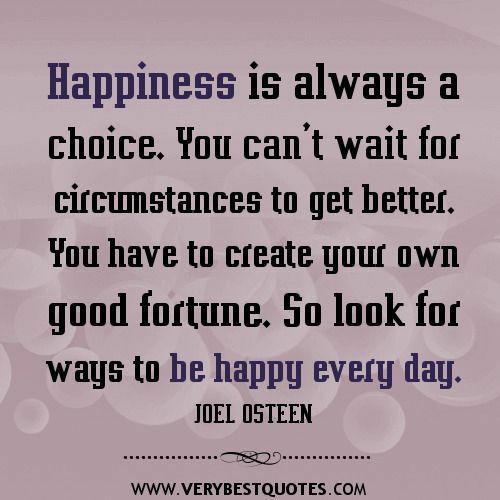 Choose the one that makes you feel better. Congratulations! You are now living deliberately!! You are living from your internal compass where all of the answers are. Living from the inside out is way more empowered instead of reacting to what’s going on around you or allowing the outer world to dictate how you choose to feel inside. Now, an idea to call a friend to get some input may make you feel better so do it. It’s not to say that you have to go it alone from within, but allow your internal compass to guide you towards empowered feelings like excitement, love and joy. The key is to practice this daily. During your day do personal check ins and I promise you’ll stop having so many out of control situations because you’ll catch them long before you’re in a place of complete dis-empowerment. 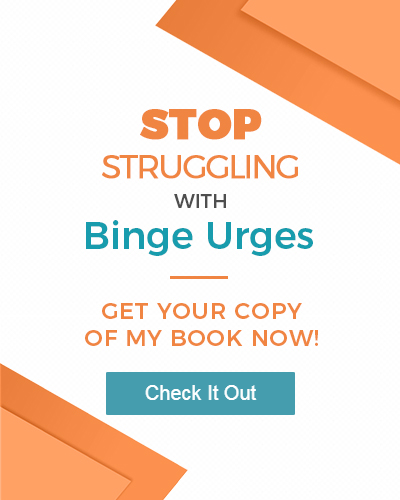 If you want to learn more about how to stop the urge to binge and purge, download a copy of my ebook “Why You Binge and How to Stop” now. p.s. I’m excited to report I’m working on more material like this that I can’t wait to share with you. So, I’ve decided it’s time to hold another webinar. Look for the date and details in my newsletter soon. I hope you’ll sign up and be there! Totally binged the other night. I’m not going to lie that I even knew what I was walking into. I’ve been eating disorder free for 12 years and binge eating is still a struggle to some degree. Blogging helps me, so I created a blog (update: Elaine’s blog is no longer active at this time). Point is that binge eating begets binge eating, because of guilt I didn’t just eat the triscuits, but also ate some chocolate. Seriously, aren’t I recovered enough to “get this recovery thing” by now? (Sigh). We have to MOVE ON in our hearts and remember that tomorrow is a new day. Tomorrow, I will choose not to binge eat. I urge you to focus on who you want to be in the world and the food will take care of itself. You had 12 years without a binge. That shows you were being your empowered self. Maybe something’s happened to get you a little off track. No worries. You know how to ride that bike. Get back up, my friend, and ride on sister!